The Subaru Legacy has always stood out with its traction-enhancing all-wheel drive, yet in the face of rivals with household names like the Honda Accord and Toyota Camry, Subaru’s midsize sedan received only marginal attention. 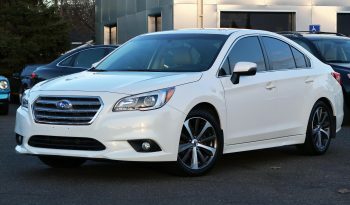 But with a total revamp for 2015, the Subaru Legacy deserves real consideration. With a more appealing design, far better technology and improved fuel efficiency, the new Legacy is a legitimate contender among family sedans. Available with a 4-cylinder engine rated up to 36 mpg or a strong and smooth 6-cylinder that makes passing a breeze, the Legacy ranges from a roughly $22,500 deal to a $30,000-plus leather-laden sedan filled with creature comforts. All-wheel drive (AWD) remains standard, but with its rebirth for 2015, it’s not the Legacy’s only highlight. If you live where it snows, the 2015 Subaru Legacy should be at the top of your midsize sedan shopping list. True, it’s now not the only one to offer AWD, but it remains the best and the most affordable. Other positives are the Legacy’s history of reliability and strong resale value. 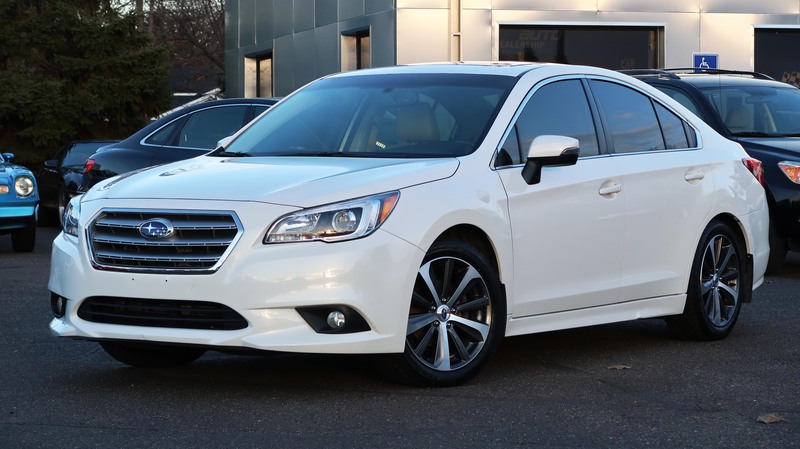 The Subaru Legacy enters is sixth generation in all-new form for 2015 with fresh looks inside and out, new technology and better fuel efficiency. The same 4- and 6-cylinder engine choices remain, but even they have been heavily revamped. A continuously variable transmission (CVT) becomes standard across the board. Both the 2.5i 4-cylinder Legacy and the 3.6R 6-cylinder model feel planted on the road thanks to their engine design. Because the Legacy’s engine sits deeper, the car itself has a lower center of gravity. This translates to a grounded feeling and, combined with Subaru’s Symmetrical All-Wheel Drive, instills driver confidence in foul weather and on twisty roads. With 175 horsepower, 4-cylinder models have adequate acceleration, but you’ll need quite a bit of space for high-speed passing. Six-cylinder models, with a robust 256 horsepower, are smooth, strong, and the ideal choice for drivers more interested in power than the best fuel economy. On tight, winding roads the steering feel could benefit from increased firmness, but it is laudable in just about every other driving situation. The new Legacy also mostly rectifies a past wrong regarding throttle tip in. Thanks to a reprogrammed CVT, the car doesn’t lurch from a stop.